A big four bank has confirmed that it will be changing the way it calculates upfront commissions from next year, in line with recommendations made by the Combined Industry Forum. ANZ has confirmed that, from 1 January 2019, it will change its base commission model to “ensure brokers can provide the best possible service for customers”. Effective from 1 January 2019, ANZ has said that upfront commissions will be based on the drawn amount, net of redraw or linked offset funds paid out of the principal. Payment will be made by the 15th day of the month. Further, the major bank has said that top-up (utilisation payments) will be made monthly for the first 12 months, based on subsequent utilisation of those redraw or offset funds. Speaking earlier this year during a parliamentary committee hearing in Canberra, ANZ CEO Shayne Elliott said that remuneration reform is “worthy of discussion” but warned: “My only caution is that no system is perfect, and any system will have potentially unintended consequences”. All four major banks have committed to adopting the new commission structure, which come off the back of the recommendations from the ASIC and Sedgwick reviews, and were largely backed by the Combined Industry Forum package of reforms. While Bankwest was the first lender to bring in the new commission structure (bringing it into being on 1 July 2018), NAB was the first major bank to move to the new commission structure, with both NAB (and its wholesale funding business, Advantedge) moving to the new payment model last month. Is for an amount equal to, or greater than $20,000, up to the maximum loan split limit. NAB and Advantedge also said that the maximum commission payable for a subsequent drawdown “must not exceed the commission that would have been payable if the loan account was fully drawn as at five calendar days after the initial settlement date”. The Commonwealth Bank of Australia (CBA) implemented its changes a few weeks ago, calculating upfront commission for new home loans based on the drawn down loan balance, net of any linked offset account and redraw facility for new loans settled as of 24 November. The calculations are now based on the 14th calendar day after the date of the drawdown to ensure that brokers are “remunerated appropriately” (i.e. after the customer has drawn down their funds). Similar to ANZ, Westpac and its subsidiaries (St. George, Bank of Melbourne and BankSA) have also committed to implementing the new commission structure from the start of the calendar year. The group will therefore be linking upfront commission payments for standard home loans to net debt utilisation and inclusive of loan offset arrangements, rather than the approved loan limit, from 1 January 2019. Westpac also stated that the new commission structure for standard home loans would allow for a subsequent upfront commission for when brokers arrange loans for customers with funds held in offset accounts for a short-term future purpose like renovations. The CIF recently hosted an event that further outlined its work on mortgage broking reforms and reiterated that lenders are expected to make the remuneration changes by December 2018. Indeed, just yesterday (5 December), Suncorp confirmed that it would be changing broker upfront commissions for new home loan settlements from 1 January 2019. Other lenders that have committed to the reforms include Adelaide Bank, AMP Bank, ING, Macquarie Bank, ME Bank, and MyState Bank. Annie Kane is the editor of The Adviser magazine, Australia’s leading magazine for mortgage brokers. 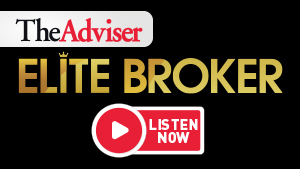 As well as writing news and features on the Australian mortgage market, financial regulation, fintechs and the wider lending market – Annie is also the host of the Elite Broker podcast and regulator contributor to the Mortgage Business Uncut podcast. Before joining The Adviser team at Momentum Media in 2016, Annie wrote for a range of business and consumer titles, including The Guardian (Australia), BBC Music Magazine, Elle (Australia), BBC Countryfile, BBC Homes & Antiques, and Resource magazine.